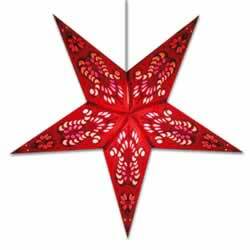 This star lamp has an intricate print design on a red background, and the very popular tissue paper covered cutouts glow like stained glass. Includes complete assembly instructions. 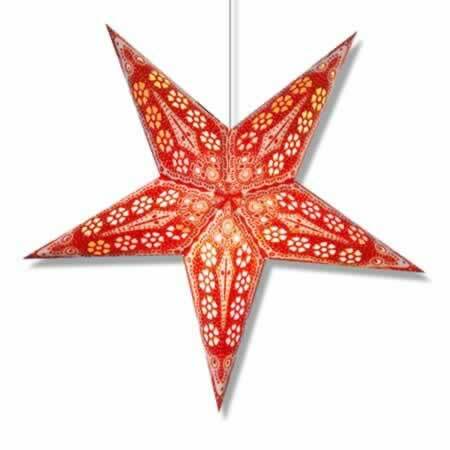 Star lamp measures about 24" from tip to tip. Shipped flat. 12' electric cord with on/off switch optional for $6 more. 40 watt lightbulb not included.